The answer to that question is multi-faceted, and I didn’t have the time to fully go into it then, so I thought I’d take the time now to explore the answer to that question in more detail. 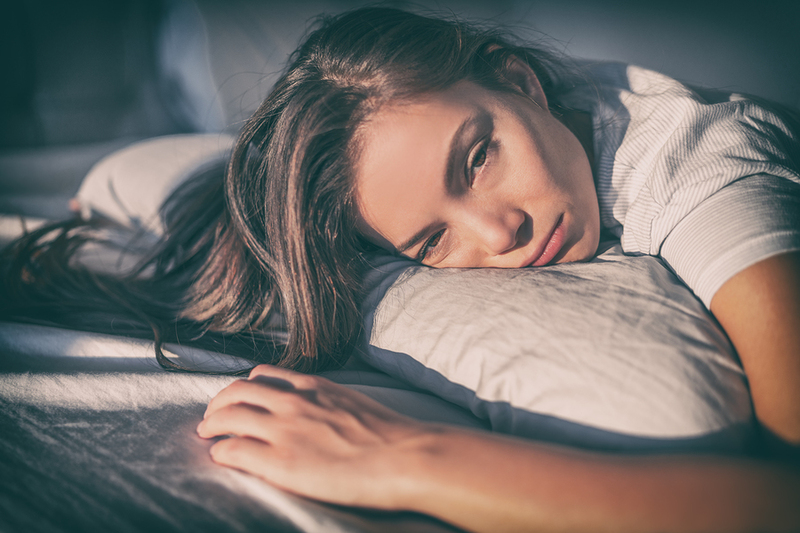 What causes fatigue with endo? Your liver is an energy power center. This comes partly from its role with blood sugar. Your liver takes glucose from the food you eat and stores some of it as glycogen, which serves as fuel in between meals. If your liver is weakened, which is likely if you have endo, then it’s not able to store glucose and glycogen like it used to. Without your liver’s ability to offer glucose between meals, blood sugar drops, and hypoglycemia or low blood sugar happens. Low blood sugar makes you feel fatigued because your cells are lacking fuel. To make sure that your blood sugar doesn’t get too low, it’s a good idea to have snacks on hand and to eat something every couple of hours. When your blood sugar is low your adrenals release cortisol, whose job is to raise blood sugar levels when they get low. Cortisol is your body’s stress hormone. If your adrenals have to pump out cortisol too much because of low blood sugar or other physical and emotional stress that’s common with chronic illness, then your adrenals start to tire out, and as a result cortisol levels do too. Without enough cortisol you feel exhausted all day, yet when you finally settle for sleep at night you’re wired, unable to relax for sleep. That’s a sure sign of cortisol imbalance. When your liver’s sluggish, your adrenals are tired, and you have blood sugar issues, then a ripple effect happens that impacts your sleep. Sleep is actually an active time for your body and requires quite a bit of energy. This is the time when your body restores itself. Your body needs glycogen, stored in your liver, to fuel this time. If you find yourself waking up consistently between 2 – 4am then this could be an indicator of liver and/or blood sugar issues. There’s a natural drop in blood sugar during this time. If your blood sugar is already low, because of liver and/or adrenal issues, then the extra drop in blood sugar wakes your body up, and it can be hard to fall back asleep. If you find yourself in this situation in these early morning hours, it can help to eat something small so that your blood sugar raises enough to fuel the rest of your sleep. It can also help to take a teaspoon of raw honey before bed. Raw honey is a natural source of glycogen and it can help fuel your body to stay asleep. Another factor that can impact all of the above is the Epstein Barr Virus (EBV) (read more about it here). When EBV advances it can cause chronic fatigue. This neurotoxin adds a great burden to your body. It’s exhausting. The final component that could cause fatigue with endo is the energy that you surround yourself with. Do you spend time with people who inspire and motivate you or those who drain you? Are you pulling in negative messages from the mainstream news and social media? Or are you pulling in positive, inspiring messages? Are you around others who make feel like you can be yourself and truly shine? Or do you feel shut down and undervalued? The energy that you surround yourself with has a big impact on how you feel. Choose wisely. Now that we’ve explored what causes fatigue with endometriosis you can see how it’s different components that fit together. A good place to start is with what you put into your body each day. Are you fueling yourself with organic whole foods every day? Are you fueling your body with the vitamins and minerals it needs? My recommendation to anyone looking to improve energy levels is to eat more fruit! Fruit is a natural source of glucose, which is fuel for your brain and body. Don’t be afraid to eat more of it. I’ve certainly been feeling better since I have. ➡️ For more small steps you can take each day to help improve your energy levels check out the Nourishing Reset Workshop here. How has fatigue impacted your life with endometriosis? What has helped you? Hi Aubree, I have started having an apple in the evening before bed, as I read somewhere it is good to have an apple before bed, could you explain why this would be ? It does help a bit and I have found it gives me a bit more energy. Hi, Jill. Apples are one of the best fruits for your liver, so eating one before bed (or any time of day) supports that. Good to hear that you’re feeling better without the wheat! That is certainly a cause for fatigue. I have got most of my pain under control but the fatigue is so draining. I’m just so damn tired. All. The. Time. I try to eat healthy and I exercise as much as I can, I even make sleep a priority. But every single night I wake between 1am and 4am with hungry or needing to pee. It’s interesting that you mentioned that it could be low blood sugar doing that! It’s definitely worth investigating. Hi, Jen. I totally get it. I’d definitely look into the blood sugar factor, and maybe try the raw honey before bed to see if that helps. Aubree thank you for this! I think fatigue is the only real obvious outward symptom of the disease (besides other internal issues). I have struggled with fatigue since about 2010 and it has gotten worse since my DX. I wish someone could say yes it’s the endo, but all I can do it say that are knowing the evidence to support it. The fatigue causes me to be low mood and low energy some days from the moment I wake up until bed, others it will come out of nowhere. I find myself being impatient with others too. I know caffeine isn’t recommended but its my saving grace and brings me joy (lol). But I also pour myself into the people at work, into clients I coach, and my family. Sorry you’re struggling, love. I totally get the dilemma with caffeine. I know it’s not a good choice either, but it helps you to feel half way human. Coffee certainly brings me joy too, so I’ve stopped beating myself up about it.